Hey everybody. 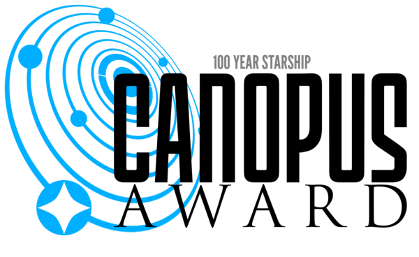 Sooo… last year the folks over at the 100 Starship Project launched their own Sci-Fi Award called the Canopus to recognize both short and long fiction that expands the conversation and cause of interstellar travel. Well, nominations are open now, and both THE ARK and TRIDENT’S FORGE are eligible works for this year’s award. So, if you read and enjoyed either, and honestly believe they’re worthy of award consideration, I would really appreciate it if you could head over to their site and fill out the nomination form. THE ARK was published in 2015, while TRIDENT’S FORGE was published in 2016. Both are classified as long form works over 40,000 words. Oh, and to see what one of the members of the 100 Year Starship Project thought of THE ARK, go here and read his review. The number of nominations each work gets matters, and it would be immensely helpful for the future success of the series just to wind up on the short list. That’s all for now. I’ll keep you posted about how it goes. Love you guys! UPDATE: The nomination period has been extended to October 15th! Hurry up and nominate your favorite books!